Can visits from political heavyweights tip the scale in elections? We’re edging ever closer to the November election and across the country big names in politics have been visiting states to drum up support for different candidates. Next week President Obama will visit Michigan. Do these visits really have an impact on local elections? Or is it more about building political capital for that political heavyweight? Another big name Republican is coming to Michigan to get out the vote. 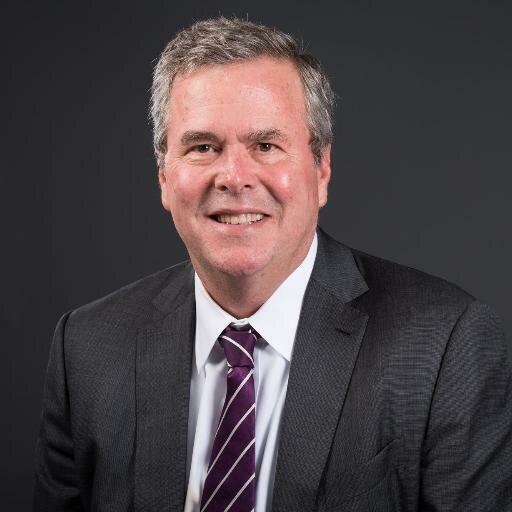 Former Florida governor and potential future presidential candidate Jeb Bush is scheduled to make a whirlwind swing through Michigan on Monday. Bush is scheduled to appear at events in Grand Rapids, Lansing and Troy. 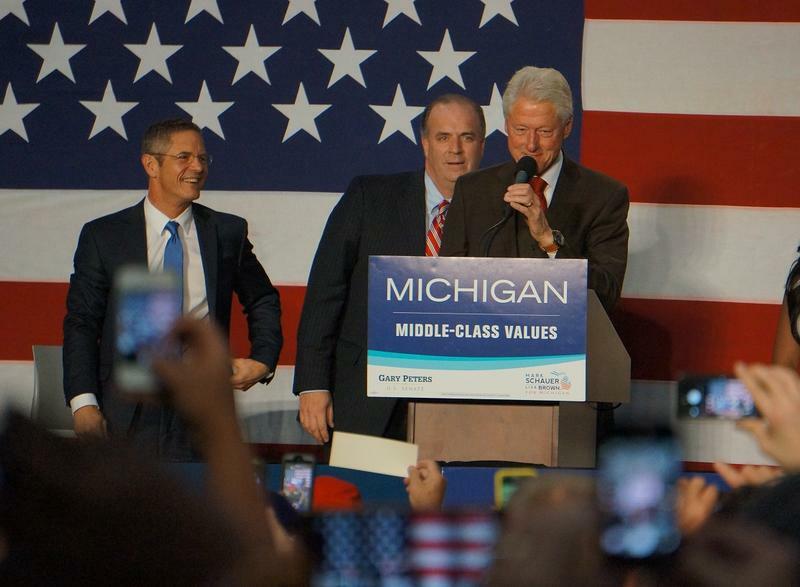 Michigan is becoming a popular stop for big name politicos. Former Republican presidential nominee Mitt Romney campaigned for GOP candidates last week in Livonia. 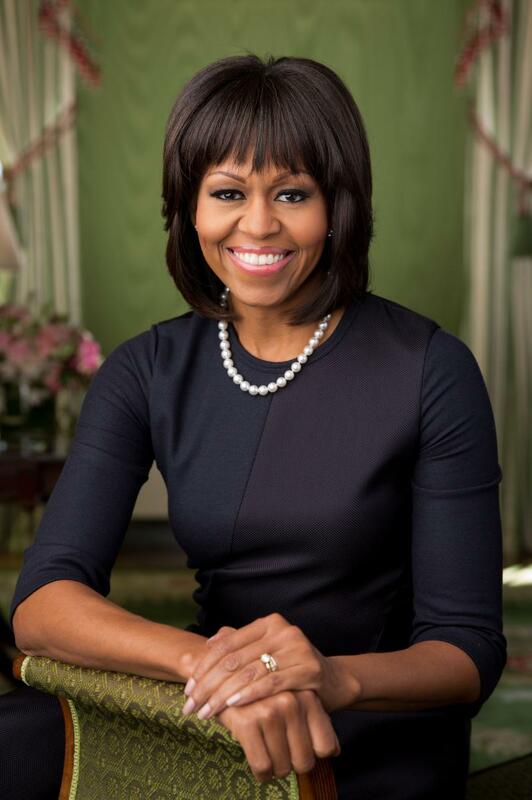 First Lady Michelle Obama will be in Michigan on Friday. She'll be campaigning for Democratic candidates. The White House says the First Lady will appear at a campaign event in Detroit on Friday. She’ll be sharing the stage with U.S. Senate candidate Gary Peters and gubernatorial candidate Mark Schauer. 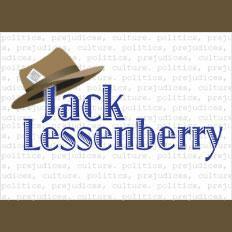 This Week in Review, Jack Lessenberry and Rina Miller discuss Mitt Romney’s recent Michigan visit, billionaire businessman Dan Gilbert’s testimony in Detroit’s bankruptcy trial and allegations that Ferndale police are issuing a disproportionate number of tickets to black drivers. Former Republican presidential nominee Mitt Romney is lending support to GOP U.S. Senate candidate Terri Lynn Land. 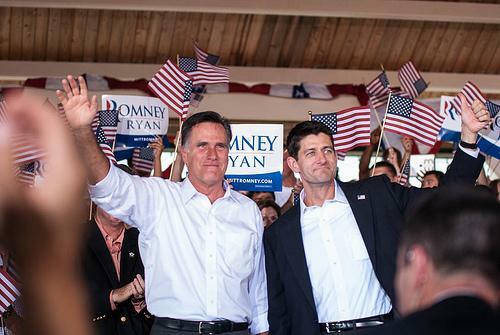 Romney joined other Michigan Republicans today in Livonia. He said it’s important for Michigan voters to elect Land in November, so Republicans can regain control of the U.S. Senate. Romney says then the GOP will set the national agenda, not President Obama. Livonia will be the center of Michigan’s political landscape on Thursday. Republicans and Democrats are both planning big rallies in the Detroit suburb tomorrow. The Republicans roll into town first. Their event will be headlined by former GOP presidential nominee Mitt Romney. The event’s being called “CommMITT to the Comeback” rally. Top Republican candidates will be there, from Attorney General Bill Schuette to U.S. Senate nominee Terri Lynn Land. Noticeably absent is Gov. Rick Snyder. EAST LANSING, Mich. (AP) - Michigan Republican officials have chosen the niece of GOP presidential candidate Mitt Romney to replace Terri Lynn Land on the party's national committee. Ronna Romney McDaniel was elected Saturday morning during a meeting of the 113-member Michigan Republican Party State Central Committee. McDaniel is the daughter of Ronna Romney, who also served on the Republican National Committee. Land, Michigan's former secretary of state, resigned last month to focus on her run for the U.S. Senate. Her likely Democratic opponent is U.S. Rep. Gary Peters. I had dinner recently with Elaine Stritch, the Broadway legend who in later years, won new television audiences with her work on everything from The Cosby Show to 30 Rock. She is 88 now and after living in New York and London since World War II, moved back to her hometown recently, back to greater Detroit. And I was curious about why. Yes, she has some family here, but as Stritch candidly said, she has enough money that she could live anywhere. She told me, it was the sun. Detroit sunshine is like that of nowhere else in the world, she said, inviting, bright and warm even on chilly days. “In New York, well, the sun is a cold and distant thing,” she said. The older brother of presidential candidate Mitt Romney is interested in running for the Michigan Senate seat being vacated by Carl Levin in 2014. A state GOP official said Friday that Scott Romney, 71, is exploring his options with potential supporters. The official spoke on condition of anonymity because he wasn't authorized to speak publicly about specific candidates. An attorney, Scott Romney lost the 1998 nomination for attorney general at the Michigan Republican Party's convention. 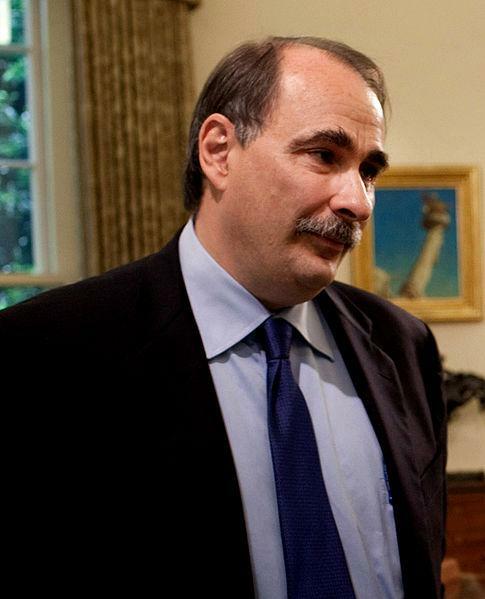 One of his ex-wives, Ronna, ran for the Senate in 1996 but lost to Levin. The incumbent president was a Democrat, a controversial figure whose legitimacy was doubted by millions, right from the start. His Republican challenger was a Michigan native, but one who left the state after high school, and moved east. He found fame and fortune, and was eventually elected governor of his adopted state, then won the right to take on the sitting president. His followers, including the Wall Street Journal and the Detroit News, were convinced his election was necessary to save the nation from government spending run amok. I’m writing this with rain coming down, the wind howling, tree limbs down all over the place, and I‘m feeling lucky. Lucky, that is, to be as far away as we are from the eastern seaboard. It almost seems as if we are in someone else’s screenplay. After all, doesn’t this sound like a made-for-TV movie? We are a week before a close presidential election. Suddenly, the mother of all storms hits. A freak hurricane mixed with a winter storm, in the wrong place at the wrong time. The nation is filled with uncertainty over what this means for the election, and for the country itself. Mitt Romney’s presidential campaign has shown a renewed interest in Michigan with recent visits from Chris Christie, Ann Romney, and vice presidential nominee Paul Ryan. 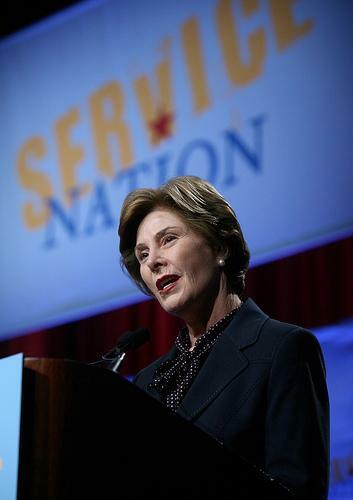 Former first lady Laura Bush looks to be the next in line as she is scheduled to appear at a campaign event this Sunday in Livonia. Domino's Pizza is renewing its lease at Domino's Farm Office Park in Ann Arbor for ten more years. 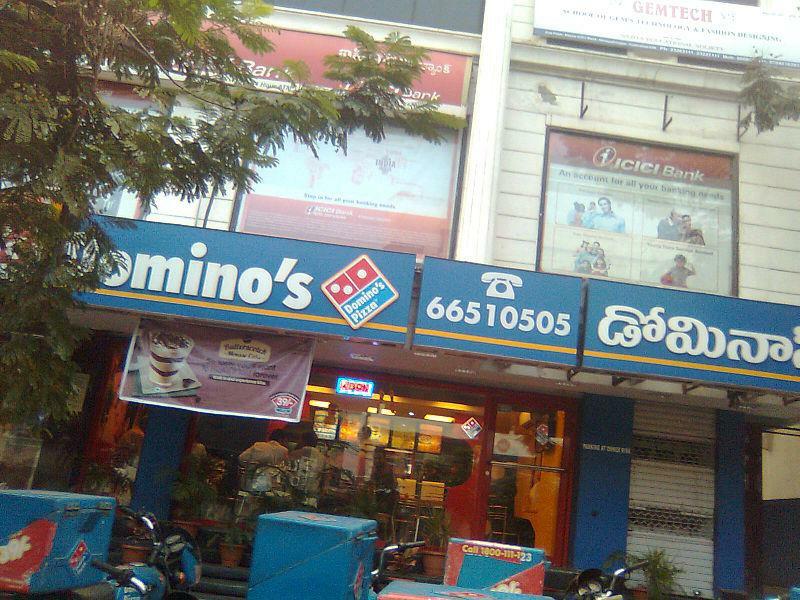 Domino’s signed a deal in August to renew its lease in the Domino's Farms Office Park through 2022, and to expand its space by 12,000 square feet. Mitt Romney’s “binders full of women” comment from the second presidential debate became an instant Internet meme, but it also brought attention to the issue of income inequality based on gender. It’s an issue with particular relevance for Michigan. The state ranks fourth in the country for the largest pay gap between men and women. Election 2012: Is Michigan a true battleground in the race for the White House? With just 25 days to go before the Presidential election, and a week since the first Presidential debate, a few pollsters and at least one analyst are putting Michigan into swing-state territory even though, as we’ve noted before, President Obama’s generally been given the edge in most polls in the state. This week, Michigan enjoyed a round of visits from top flight presidential candidate surrogates starting with Republican Vice Presidential nominee Paul Ryan on Monday. And, just today, we saw Anne Romney stumping for her husband, Mitt Romney, in the couple’s native-state. So, the question remains, after five presidential election cycles with Michigan falling into the Democratic column, is Michigan an actual battleground state in 2012? The right-leaning website Real Clear Politics says so. A Detroit News/WDIV poll shows the Obama lead shrinking since last week’s debate and a Gravis Marketing poll also puts the race for Michigan’s 16 electoral votes much closer than it has been. President Obama still leads, according to these surveys, but the momentum is moving toward Mitt Romney. And, as we’ve said before, Michigan seems like it should be attainable for the GOP. It’s not like a Republican can’t get elected here statewide. Just ask Governor Rick Snyder, Attorney General Bill Schuette or Secretary of State Ruth Johnson. But, aside from the Real Clear Politics call, no one else is really putting Michigan into that list of eight or nine states that are the focus of the fiercest competition (states like Ohio, Virginia, Colorado, New Hampshire, Nevada and Iowa). And, we’re certainly not seeing a big re-allocation of resources by the campaigns that would suggest things are changing in the mitten state. One question that gets bandied about is: if Michigan isn’t a battleground state, then why are high profile campaign surrogates making regular stops here? Well, there are lots of reasons why candidates and their surrogates visit a state – fundraising, a quick visit to make sure a safe state stays that way. But President Obama hasn’t been here since April; Romney since August. In fact, this was the first time in decades that neither presidential candidate themselves visited Michigan during the entire month of September. In 2004, George W. Bush made John Kerry work for Michigan, which maybe meant he wasn’t able to spend as much time and money in places like Ohio and Florida – true swing states with lots of electoral votes. 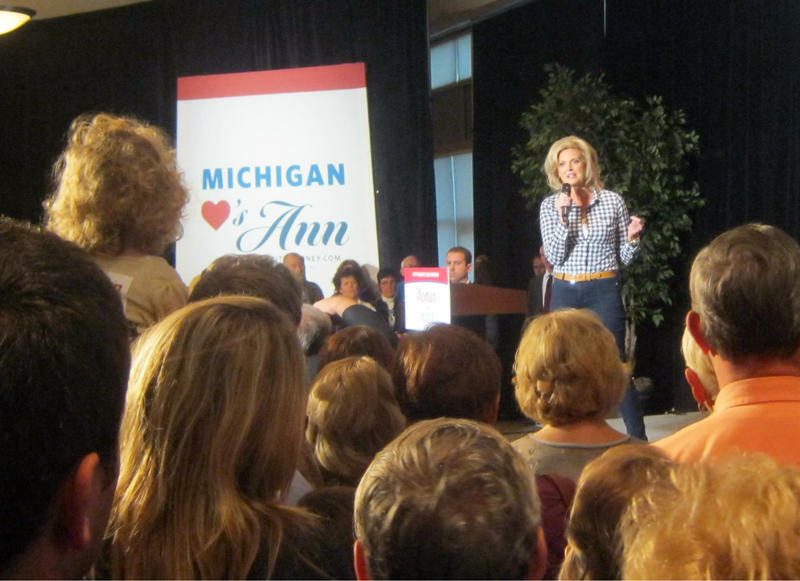 Ann Romney is making stops across Michigan Friday. The wife of Republican Presidential candidate Mitt Romney started early at conference center in Hudsonville, just outside of Grand Rapids. Standing in front of a “Women for Mitt” banner, Ann Romney held up her hand, pointed to her hometown and confessed her love for the state. Presidential hopeful Mitt Romney and Michigan Senator Debbie Stabenow are both far outspending their opponents on TV ads in Michigan. That’s according to a report released Monday by the Michigan Campaign Finance Network. The report says groups supporting Romney have spent about $13 million for ads in Michigan since the February primary. The Obama campaign and supporters haven’t spent as much in Michigan, but Obama still has a lead among likely voters, according to most polls. Rich Robinson is with the Michigan Campaign Finance Network. Paul Ryan will be at Oakland University in Rochester tonight as the Romney campaign refocuses its attention on Michigan. This comes after fundraising visits to Midland and Novi from Chris Christie on Saturday night. 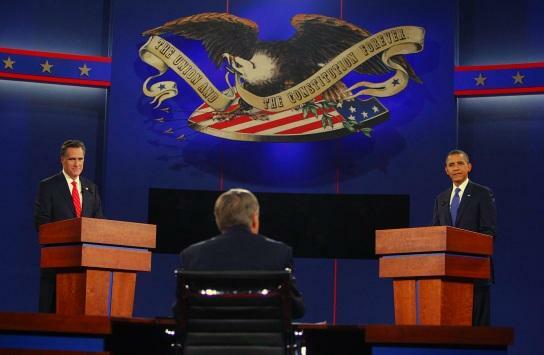 The first Presidential debate of 2012 is in the history books. Radio, Television and Newspapers are filled today with opinions, verdicts and spins. Will the undecided voters be moved one way or another? Did the 90-minute debate contain anything likely to strike a deep chord with voters here in Michigan? 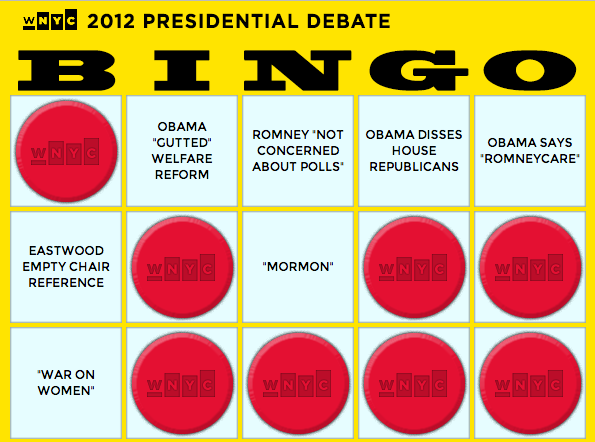 Our friends at WNYC have come up with a way to keep score at home tonight as you watch the first presidential debate. I’m not running for anything, now, or presumably ever. But I have a confession to make. I am not rich, but my household income is more than a hundred thousand dollars a year. Nevertheless, I get a form of welfare from the government. And my guess is that you do too. If not, other members of your family do. My welfare is called the home mortgage tax deduction. The government exempts me from paying thousands of dollars in taxes that I would have to pay if I lived in a rented apartment. A pro-Mitt Romney group will start running ads attacking President Obama’s jobs record in Michigan beginning tomorrow. Recent polls show the president leading his Republican challenger in Michigan. 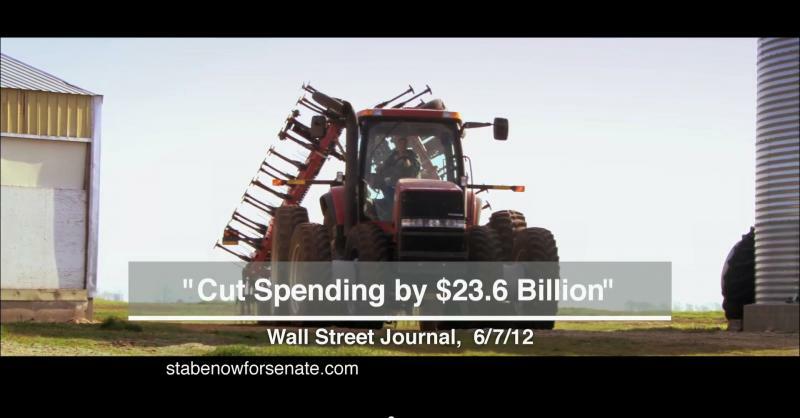 And the Romney campaign has focused its own TV ad spending elsewhere. 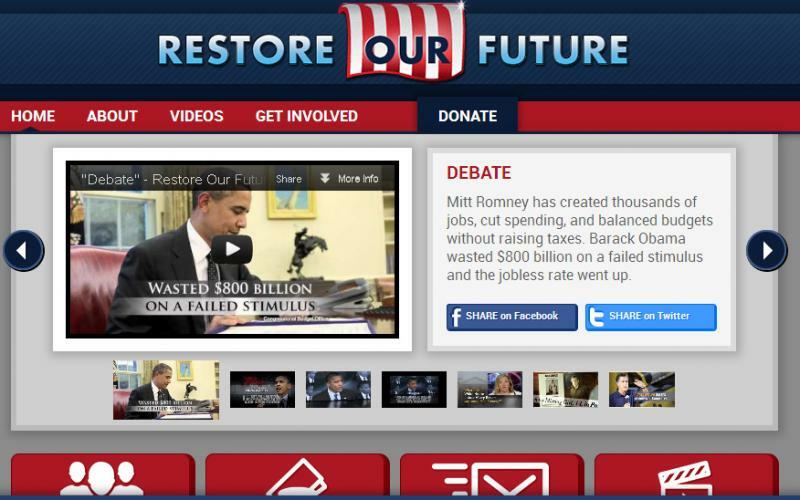 Charlie Spies is co-founder of the Restore Our Future "Super PAC." Super PACS can raise and spend unlimited amounts of money from corporations, unions and individuals. Spies says recent campaign stops in by Vice President Joe Biden and his wife show the Obama campaign is still worried about losing Michigan. Michigan Radio's Steve Carmody spoke with Restore Our Future reps this morning. They confirmed that they will start running a new ad in Michigan markets starting tomorrow. It's a one million dollar ad buy. They told Carmody they expect to do a similar ad buy in Michigan next week. 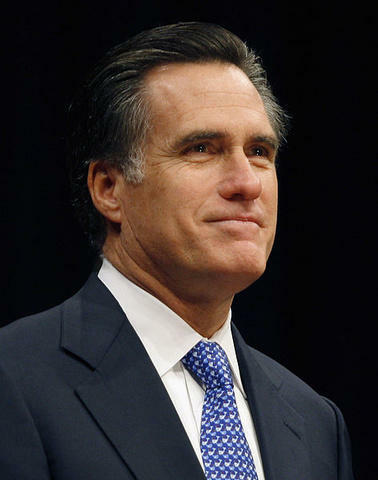 Conservative 'Super PACs' supporting Mitt Romney's presidential run recently pulled their ads out of Michigan. It was an indication the state wasn't polling well for the Republican candidate. But Sarah Wheaton over at the NY Times blog "The Caucus" writes some Super PAC money might be coming back. Despite losing traction in the polls after the nominating conventions, Wheaton says Romney has one clear advantage over President Obama - "outside groups with much more money to spend supporting his candidacy and tactically placing their bets in states where they believe he has a chance to win." Right now, Michigan appears to be a long shot bet for these groups. Restore Our Future’s $720,000 investment in Michigan is particularly remarkable. Mr. Romney’s campaign and his other allies seem to have all but given up on the state, even though the candidate grew up there and his father, George Romney, was once governor. The Romney campaign itself, which is running state-specific spots in those states it ostensibly considers to be the most in play, left Michigan off that list. ...But the ability of super PACs to raise and spend freely gives them flexibility to invest in some long shots. And it could also provoke the Obama campaign to spend some precious ad dollars on a state it considers relatively safe. It remains to be seen how the polls will play out in Michigan after a video of Romney was released of the candidate making some potentially politically damaging comments while talking at a private fundraiser earlier this year. The Romney camp quickly put together a press conference to respond to the video. 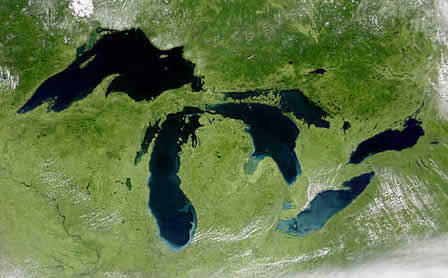 Mitt Romney’s presidential campaign did not show up at a conference in Cleveland to discuss the Great Lakes. Organizers of the Great Lakes Restoration Conference say both presidential campaigns were sent invitations at the same time. Former E.P.A. director Carol Browner spoke on behalf of President Obama at the conference yesterday. She touted the president’s investment of one billion dollars for cleaning up and restoring the lakes. When asked if the president would support permanently separating Lake Michigan from the Mississippi River to keep Asian carp out, she said it’s being studied. "That process is underway and I have the utmost confidence that the president will take the results of that process very, very seriously," said Browner. 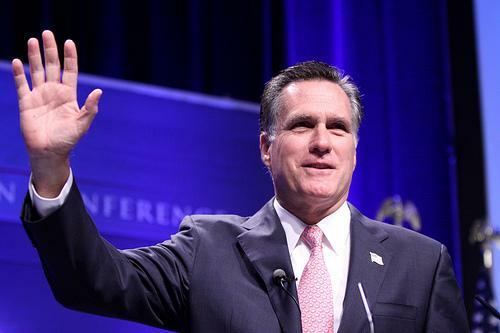 A spokeswoman for the Romney campaign said they couldn’t fit the event into his schedule. She criticized the Obama administration for not acting more quickly to stop Asian carp. BATTLE CREEK, Mich. (AP) - President Barack Obama's re-election campaign says the wife of Vice President Joe Biden will speak at events in three Michigan cities on Saturday. 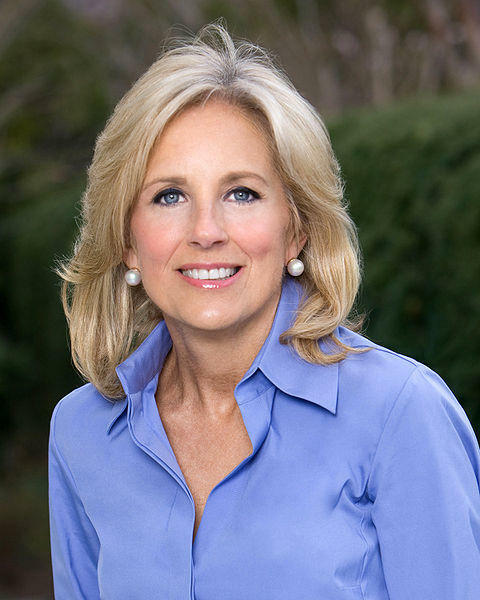 The campaign says Jill Biden will appear in Battle Creek, Grand Rapids and Kalamazoo. It says details on her appearances will be announced later. The stops come during a planned tour during which the vice president's wife will appear Friday in Minneapolis and Sunday in Pittsburgh.